Kouzzina, Greek for "The Kitchen", is owned by celebrity chef Cat Cora. 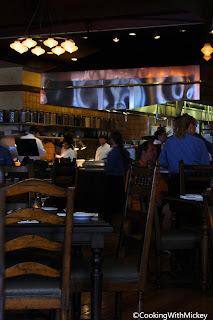 Cat Cora open this restaurant in 2009. Disney fans can enjoy her family recipes, as well as her personal favorites at this Disney's BoardWalk restaurant.